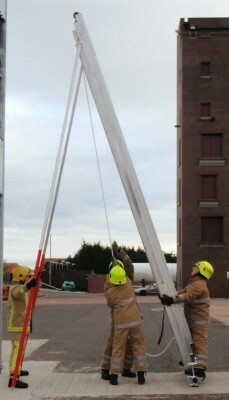 Triple Extension, Fire Service ladders. 13.5 mtr to 10.5 mtr. 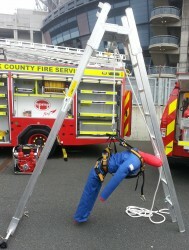 complete with all handles and fall arrest system. Small profile.Push up with manual pawls, 7 mtr to 4.5 mtr. 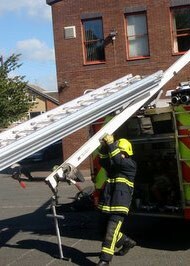 The ladders stated below are our normal range; Lengths and Widths, bespoke designs can be supplied following approval of our design drawings. Small Profile: Short Extension. Push Up Ladders. 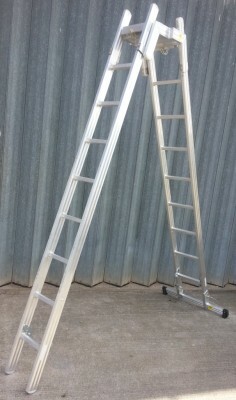 Can be made using either Triple or Double short extension ladders and connector attachments. With a maximum lifting load of 300KG. For additional information and details, please contact us.